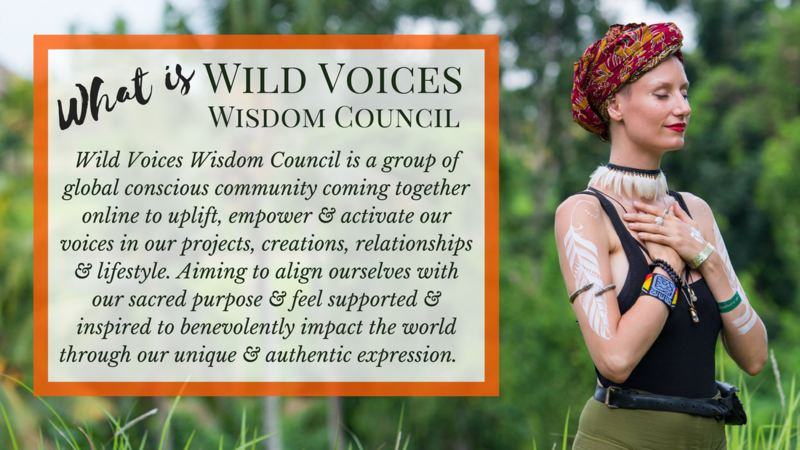 Wild Voices Wisdom Council aims to cultivate global conscious community support to activate our Sacred & Soulful Voices so we can share our authentic expression with the world! 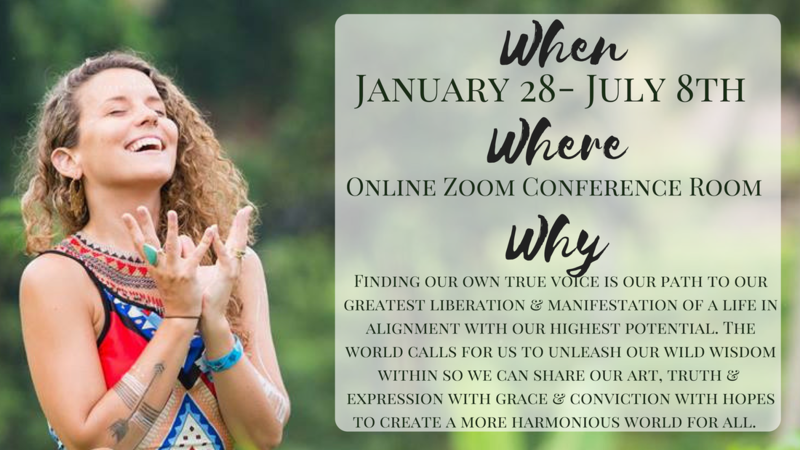 ​With the aim to Unlock the next layers of our natural expression & wild wisdom through vocal coaching, writing, singing, channeling source, earth wisdom & sacred rituals. 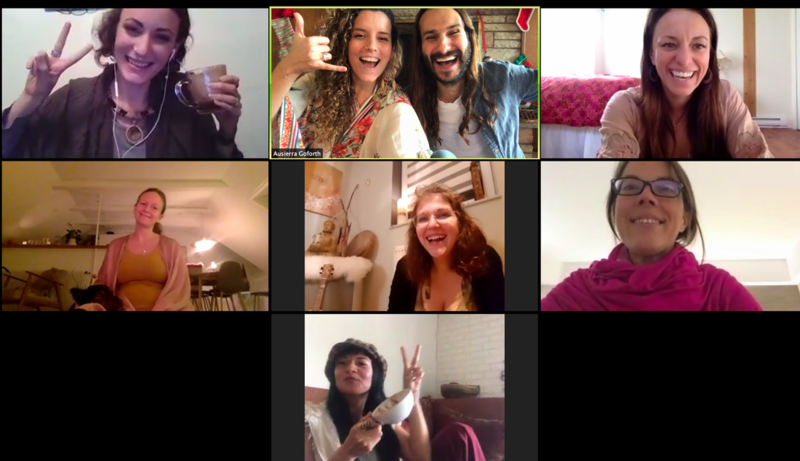 A council of artists, luminaries, entrepreneurs, creators, leaders, guides, students… amazing humans here to expand and share! We're calling forth the Leaders! Change Makers! Light Workers! Luminaries! The ones who hear the call & are ready to be on the front lines of making a radical shift in their expressive, creative lives PLUS positively impact their relationships, community, workspace & personal lives! 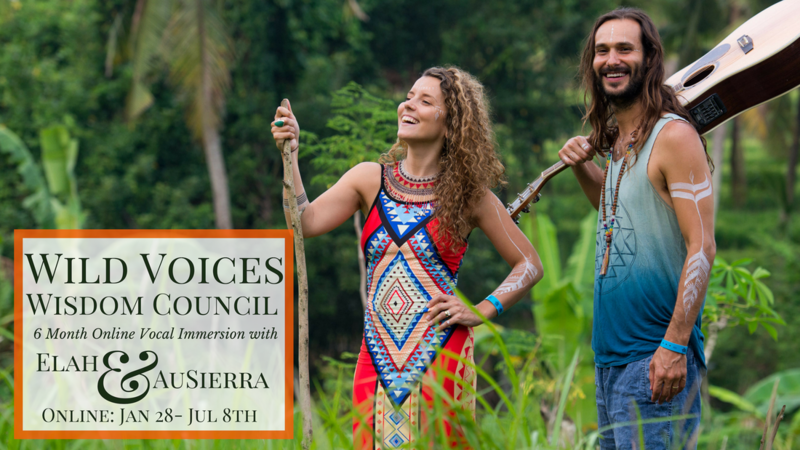 ​We will be gathering together with amazing people from all over the world to share in a collective wisdom council. 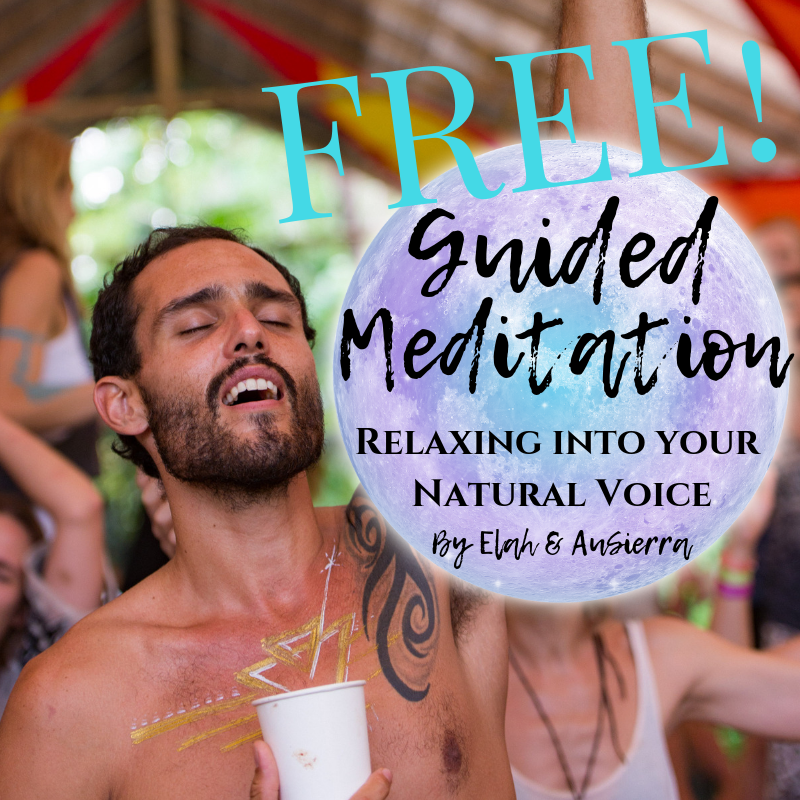 This online immersion will be a unique blend of Voice Activations & Themes, Guided Meditation, Voice/Heart/Inspiration Expansion, and Wisdom Sharing from all the people present in the council. 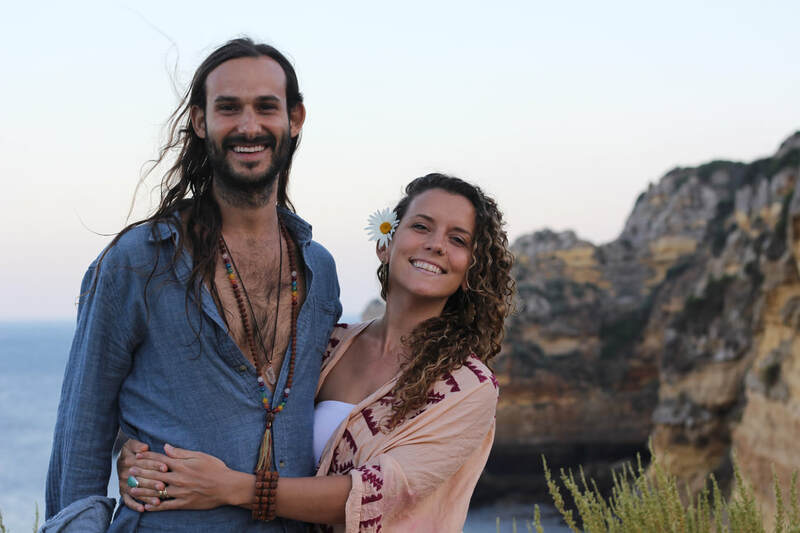 The 6 month commitment allows us to go deep together & build long-lasting supportive relationships that assist our vocal expansion, projects & initiatives to grow to the next level of self-actualization. - Connection with your own natural rhythms, Nature & Earth Wisdom to support your evolutionary & creative processes. - Creativity activation & exploration of Artistic expression & playfulness to discover new talents & devotion to deeper fundamentals that generate results. -Inspiration to ignite radical lifestyle changes & ability to communicate more effectively with others. -Guidance on how to share your message & voice authentically & effectively with the world. -Alignment with Empowered beliefs & the Confidence & Conviction in sharing your Truth, Wisdom & Visions with the World. **NOTE: Dates are based on Eastern Standard time & during daylight Savings call time/date will stay in alignment with Eastern Standard times. Connect from where ever you are in the world! We will be gathering on ZOOM, an amazing and easy-to-use online video conference platform that is great for collective sharing circles. ​All the directions and call information will be emailed to you when you reserve your spot. ​There will be 2 different call Groups so that people from all over the world can join! There are only 10 spots open on each call to keep the gathering intimate & sacred & a space for everyone to interact & engage. What do you want to manifest by the next Solstice? Join the Council~Book Your Spot! Is this Council Right For You? ​Leaders in their family/community, Yoga Teachers, Transformational Facilitators, Ceremonialists of any kind, Teachers of any kind, project managers, business owners, artists, musicians, & entrepreneurs. ••》Connect to Inner wisdom, Guidance & Intuition. ••》 Achieve Deep Relaxation . I highly recommend Elah & AuSierra for anybody who is looking to deepen their connection to source, to strengthen your offering that pours from that special place inside, and walk away with the skills and belief in yourself to go create waves of change that ripple out into your community.